Having completed a pair of simple socks, I of course decided that was enough practice and could now jump into a patterned sock. 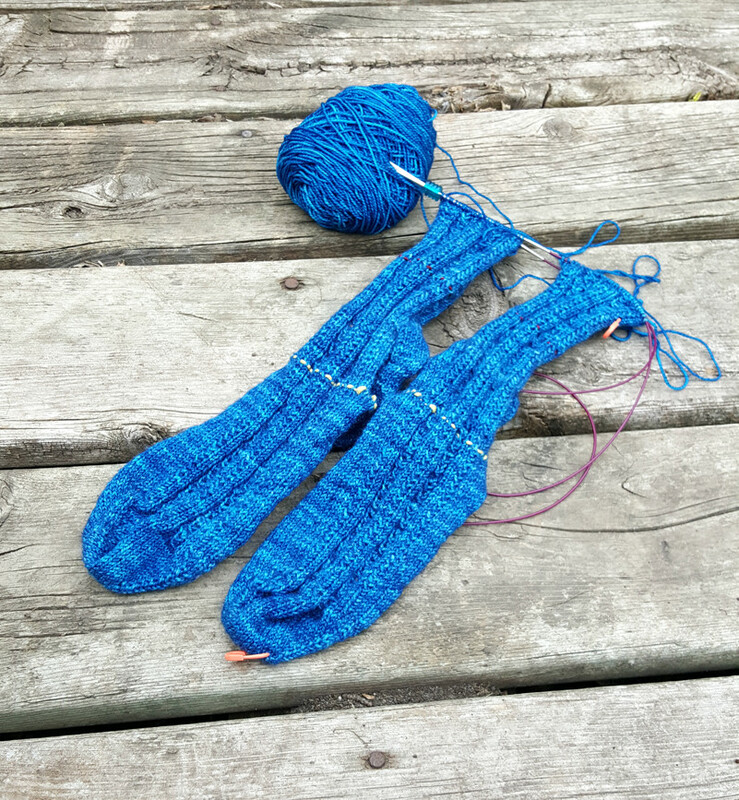 I selected the Prickly Pear Sock pattern by Thayer Preece Parker. It looks complicated, but is pretty simple. This beautiful, beautiful yarn (which is even more brilliant in person), is from the Neighborhood Fiber Co. I purchased this yarn last summer while on a family vacation to Washington DC and New York City. I knew sock knitting was on the horizon and figured a local yarn was a far better souvenir for myself than some trinket. This pattern is a slow knit and I’ve had to pull it out more than once (see those reassuring life lines?). But I’m almost done.